Motorists younger than 21, Arizona’s legal drinking age, caught drinking and driving or in physical control of a motor vehicle in Phoenix face a serious criminal offense and their blood alcohol concentration (BAC) doesn’t need to be much, hardly a trace over 0.00. Whether impairment is evidenced or not doesn’t matter. The slight trace is sufficient for an arrest. It’s a tough law, nicknamed “Baby DUI,” under the state’s no tolerance legislation. Comparatively, the limit for adults is 0.08 BAC. A trace of drugs is also an offense. No tolerance has helped reduce the frequency of underage drinking and driving, but statistics also show that alcohol related crashes of young drivers in Arizona are higher than the national average, according to the Centers for Disease Control. There are only two exceptions in the applicable law, A.R.S. §4-244 (34). One is that the drinking was part of an authentic religious ceremony or belief, the other is for a genuine medicinal reason. But the spirits must be consumed in a manner that doesn’t endanger the public’s health or safety, A.R.S. §4-244 (41). Under law, to be in “physical control” of a motor vehicle, including motorboats and aircraft, is to be somewhere in the vehicle, not necessarily in the driver’s seat, with the ignition key somewhere about; or to be asleep in the backseat with the engine running. If charged, individuals between ages 8 and 18 are adjudicated in Juvenile Court. If a traffic officer suspects a young driver is impaired or has witnessed a traffic law violation, the driver will be pulled over and the officer will ask if he or she had been drinking or taking drugs. It’s best to respectfully decline to answer questions by standing behind the Constitutional right to remain silent. Otherwise, anything said will be used as state’s evidence and can damage the defense. The officer will ask the driver to take a field sobriety test of the officer’s choosing, breath, blood, or urine, and the test must be performed within two hours of the traffic stop. The young driver may decline to take the test but then the driver’s license must be surrendered to the officer and it will be suspended for a year per Arizona’s implied consent law also known as Admin Per Se. Underage drinking and driving is a Class 1 misdemeanor. As with Arizona harsh drinking and driving laws, the penalties involve incarceration, fines and loss of driving privileges. A second conviction within seven years of the first means incarceration. In addition to the DUI charge, other charges can be levied depending upon the circumstances. If death or a serious injury resulted, then far more serious charges come into play; particularly vehicular manslaughter, which is a very serious felony with years in state prison if convicted. A juvenile, between 14 and 17 years old, in that situation may be charged as an adult in Arizona. Causing injury, death, or property damage to someone also opens the driver’s parents to a civil lawsuit seeking money to pay for hospital and medical bills, loss of income, and other financial and emotional harms and sometimes damages meant to punish the offender if the harming act was egregious. Parents of the offending juvenile can be liable for up to $10,000 under Arizona law. Parents are also financially liable for the offender’s confinement in juvenile facilities. And if a parent contributed to the offender’s conduct such as supplying the alcohol or offering it, the parent can be criminally liable. Insurance companies by their design limit their losses and exposure to loss. When they learn an underage driver is convicted of a DUI, the insurer may cancel the policy or in the least, increase the rates significantly. It’s common for insurance rates to increase several hundred dollars and stay in place for three to five years. 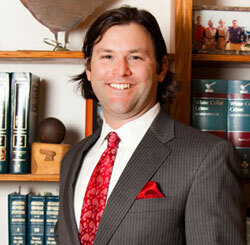 How can a criminal DUI defense attorney help? Juveniles charged need to have an experienced criminal defense attorney who has handled many of these cases and knows the intricacies of the law. As an experienced Attorney I will scrutinize the state’s evidence looking for flaws and will conduct a comprehensive, independent investigation of the facts and circumstances and performance of the arrest. Police officers sometimes can get angry when they see a violation and that may result in a mistake. I will interview any witnesses, including passengers who were in the vehicle, to uncover any errors made by police. My record in the courtroom shows that I’m aggressive in defending my clients. I’m supportive and non-judgmental and committed to establish the best defense possible. If the state has a strong case, I have extensive experience negotiating plea agreements for less serious charges and reduced punishments to make the best of a bad situation. The Law Office of Aaron Black offers a free assessment of the case against you to gauge its strengths and likely defenses. I will explain the law and the punishments involved so that you and your child can make an intelligent decision moving forward. Contact Phoenix Criminal Defense Attorney, Aaron Black or call 480-729-1683 to arrange for your free legal consultation.